Advertised as “the thinnest, fastest and lightest iPhone ever”, iPhone 5 was launched on September 21st and has already established a new pre-sales record for the renowned company. With a bigger memory (1 GB) than its predecessor, iPhone 4S (512 MB), more powerful processor and slightly different design, iPhone 5 has already disappointed the consumers, which were expecting miracles from this so much fussed about product. While Sony and LG announced smartphones equipped with photo sensors of at least 12 MB, iPhone 5 features only an 8 MB camera. Apple has also ignored the NFC technology that other smartphones producers have already integrated on their products. This technology is expected to revolutionize the trading field as it enables customers to pay via their phones when shopping in stores with such devices installed. Another point where iPhone 5 falls short is the battery. While smartphones like Nokia Lumia or Samsung Galaxy S3 can be charged wirelessly through magnetic induction, Apple introduced a smaller version of their patented plug. No trace of the micro-USB compatible plug that the fans were longing for. iPhone 5 users have to purchase new peripherals even if they used the previous versions of this trendy gadget, as the only alternative would be to connect some unaesthetic adaptors. On the bright side, iPhone 5 is equipped with 3 microphones able to eliminate background noise when recording or during phone calls. The camera has a zoom function and the processor has been improved, being twice stronger than the 4S model in terms of speed and the graphics. 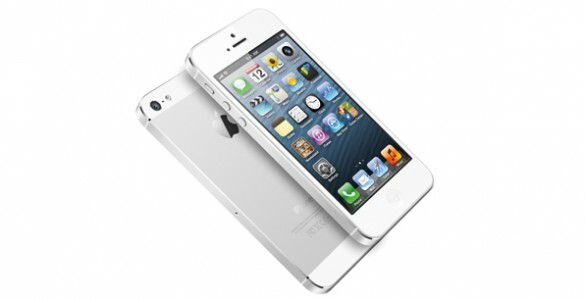 Another white ball is that iPhone 5 works with 4G technology. However, all this did and will not prevent the product’s commercial success. After all, being the owner and user of an iPhone 5 is a status symbol.